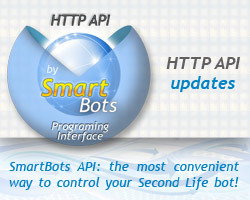 We are installing a new server to be added to SmartBots bot cluster. 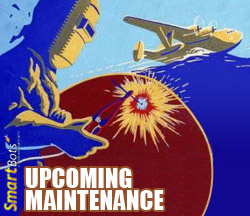 Some bots will be moved to a new machine and may go offline for 5-10 minutes. Please don’t worry, your bots will get back online as soon as possible! We will post an update to this blog post as soon as operation is complete. Tags: new server, offline, why bot is not coming to play with me? give_money_object – Commands bot to send money to an object using its UUID. Please note that the bot and the object must be in the same sim. rebake – Sends a query to the current sim asking it to rebake the bots textures and reload them (Server Side Appearance). If you have any questions or comments please feel free to leave a comment on the wiki page!